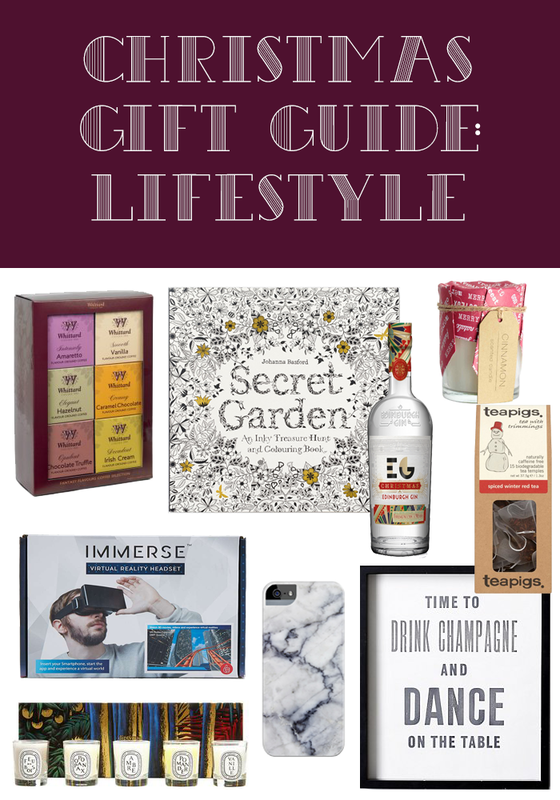 We've reached the end of our Christmas gift guides this year but we have just one guide left for you: lifestyle. Beauty products are great and all but home comforts can really get you in the festive spirit. Here are our picks. This is the perfect little stocking filler or extra to give this Christmas, and such good value for money. Cinnamon is the scent of Christmas and the packaging of this is so sweet and festive, the little glass jar is great to keep for brushes or pens also. Colouring books are still going strong but with so much choice it's difficult to know what's good. In my opinion, the Secret Garden book is one of the best out there and it's a gift which lasts for a long time. Just make sure to throw in a few pens too! Spiralizing has been everywhere this year, and many supermarkets now offer pre-prepared options, however it's much more efficient to do it yourself so this is the perfect gift for healthy eaters or keen cooks! It's a great size for storing away and is really simple to use, every kitchen should have one of these. Usually tea is a staple in our gift guides but how about mixing it up and throwing in some coffee? There's a great mix of flavours from Vanilla to Chocolate Truffle which sounds to die for! A great way to try out some new flavours. As Teapigs say, even the fussiest people like tea! The set includes six super sized packs of festive tea from chai to chocolate flake, there's bound to be at least one to fall in love with! The tea itself is fantastic quality with cute quirky packaging, a really easy gift! Virtual reality is the next big thing and we all love a little gadget to play with during the holidays. The headset works with your phone where you can explore the virtual reality world. It's compatible with hundreds of VR apps and you can even watch 3D movies on it too. Fr those of us old enough to partake in a tipple, Christmas is one of the best times to enjoy a festive cocktail or a refreshing G&T. This beautiful bottle of Christmas Gin is infused with frankincense and myrrh so is sure to be a real talking point at Christmas parties and something completely different! A print like this is such a chic simple gift that would be well received by most people, because let's face who doesn't want to drink champagne and dance on the table at Christmas? There are other quotes available too, definitely worth checking out! While I'm a big fan of Diptyque's Christmas candles, it's a bit sad that you can't get them once they're gone. This set features 5 of their permanent range of candles which means you can give them a go and repurchase your favourites. If woody, wintery scents are your thing, this is the perfect set. We hope you've enjoyed our Christmas gift guides this year, we've had a lot of fun pulling them all together. Though it has been hard not to buy every single thing on our list! Let us know what you're planning to buy for your loved ones this year.